Direct from the herd at home. Cal Serrats is a family business located in the farmhouse of the same name in Argençola. Cultivate the land and we graze our sheep to fields and forests so they can raise sheep and sell the meat. 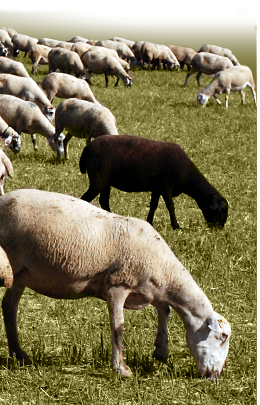 Cal Serrats is a company producing and marketing quality lamb. Our professional life is dedicated to agriculture and livestock. Years ago we grew our fields using agroecological measures eight years ago we decided to certify it with the Catalan Council of Ecological Agricultural Production (CCPA). Now we go one step further and have invested heavily in a new project: direct marketing of our product. Until today, the herd has grown and now are 600 sheep. And they took the 15 goats that are the powers that be.